One of the unusual consequences of being in the computer business is that I tend to own more devices than the average person. Therefore, when a family friend recently broke her iPhone 4s, I didn’t hesitate to visit the Tabini Museum of Antique Handsets and Tablets in my basement and dig out my old iPhone 4 to lend to her for a few weeks. After all, with a new model all but certain to be announced by mid-September, it would make little sense to purchase a new handset before then. After restoring the phone and upgrading it to iOS 7, I couldn’t help but notice that the user interface felt a little sluggish and that the battery didn’t last quite as long as it used to. It wasn’t unusable, mind you, but it certainly wasn’t quite the lean, mean, mobile machine I remembered. Was Apple trying to tell me something by allowing me to upgrade to an operating system that was too big for my handset’s britches? The concept of “planned obsolescence” is not a new one: Its coinage goes all the way back to 1932, when it was used to identify a simple scheme by which the government would impose a limited shelf life on products in an attempt to help the world emerge from the Great Depression. 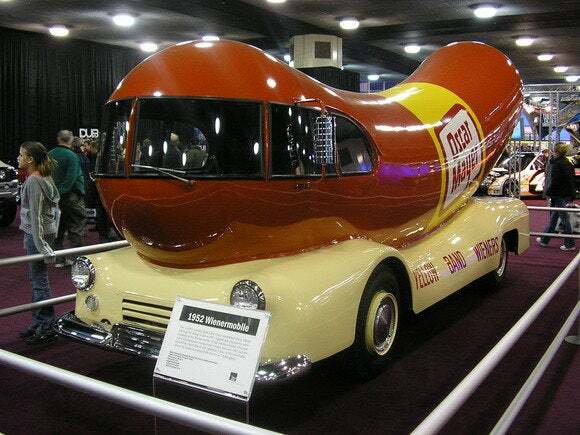 The term re-emerged in 1954, when industrial designer Brooks Stevens—who, among many other things, designed the famous Oscar Mayer Wienermobile—used it to refer to the practice of continuously improving and reinventing products in an attempt to influence consumers into replacing their purchases more often. Stevens’s take on planned obsolescence is a fundamental force in modern economies, and has been adopted by pretty much every manufacturer—including, of course, Apple; it’s the reason why the iPhone is on a two-year release cycle, with major cosmetic differences in the handset’s design between each iteration and the next. In the end, it’s an attempt to thwart market saturation and convince existing customers to replace their hardware on a regular basis. Rampell’s argument—and similar arguments made by other writers—boils down to two factors: The first is that Apple’s mobile devices contain components that, like the battery, wear out on specific schedules, making them increasingly less usable, which culminates as new models are coming to market and thus tricks customers into thinking it’s time to buy a new phone or tablet. Indeed, batteries do wear out over time. 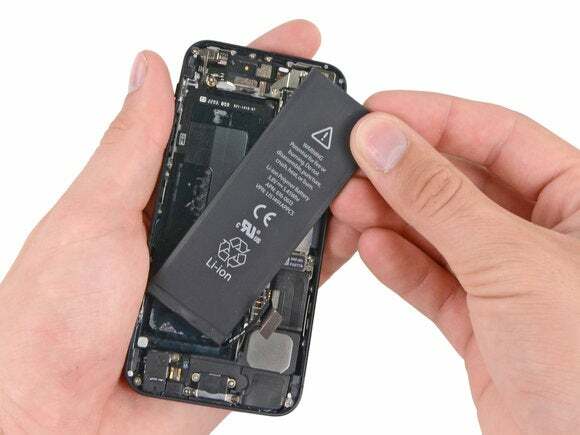 Apple rates iPhone batteries at 400 full charge cycles before they lose 20 percent of their original capacity. So if you fully discharge and recharge your phone every day, in a little over a year it will only be capable of providing 80 percent of its power, and in a couple years it will probably be down to 50 percent capacity. Like all batteries, the power cells in your iPhone diminish as time goes by. This is, unsurprisingly, on par with the rest of the industry, and it’s simply a limitation of the underlying technology itself. The average battery lifespan does happen to coincide with a two-year product cycle—a fact that I’m sure doesn’t keep Tim Cook awake at night—but a longer-lasting battery would not only cost much more but would also increase the bulk of devices for which portability is a major marketing point. 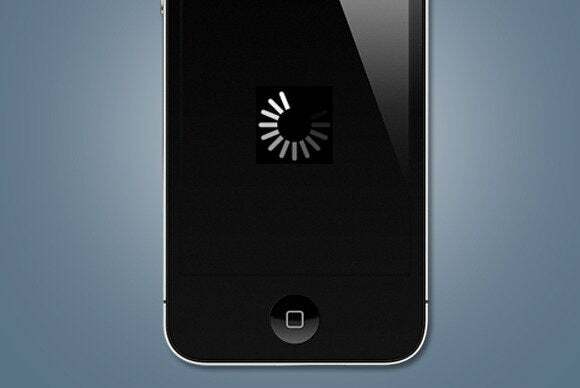 The other part to Rampell’s argument is that iPhones tend to become slower and more sluggish with time. As I mentioned at the beginning of this post, this rings true to me—but the reasons are a bit subtler than Apple simply trying to pull a fast one on its customers. For one thing, mobile hardware is currently evolving at an extremely rapid pace. The original iPhone was severely constrained in almost every way: It contained a slow processor, little RAM, and an operating system that had been cleverly designed so as to limit its pressure on battery usage. By contrast, the iPhone 5s is equipped with what Apple describes as “desktop class” CPU and GPU units that possess multiple cores and provide a very high degree of performance. Apple has routinely upgraded the CPU and GPU inside its mobile devices, reaching desktop levels of computing. These leaps and bounds by which mobile devices have grown over the last several years are bound to slow down eventually, much as their counterparts in the desktop world have. Manufacturers are rapidly iterating over the obvious advances, yielding significant change in a short time period. Case in point: I’ve been using the iOS 8 beta on my two-year-old iPhone 5, and it doesn’t feel significantly slower than iOS 7 used to. Hardware improvements also have an impact on software development, as programmers can shift their focus from dealing with limitations imposed by CPU speed and memory availability towards more advanced functionality. Think of it this way: If you have to pack a tiny car for a long trip, you will spend a lot of time trimming your luggage down as much as possible in order to fit everything in the trunk space at your disposal. If, on the other hand, you drive a big truck, you can afford to pack some extra clothes, and maybe even some board games to make your trip more enjoyable. Things are no different for software engineers: The history of programming is littered with stories of superhuman efforts aimed at fitting code inside severely constrained devices—even the original Macintosh team had to deal with the problem. To make matters even more confusing, some functionality is unaffected by improvements in the speed of the underlying hardware. For example, the screen refreshes at a maximum 60 frames per second, regardless of how fast a device is. When comparing an old iPhone with a new one, then, the human brain has to contend with the apparent contrast between the fact that animations are often very smooth on both models, while operations that tax the CPU will take noticeably longer on the older one. Ultimately, then, the planned obsolescence that pundits like to decry is nothing more than the natural evolution of a product line that is less than a decade old. Apple is no more guilty of creating and managing a product cycle than any other manufacturer, and is likely to continue doing so for some time—at least until the improvements between iterations start to plateau, as they have in the desktop market. But have no fear: The need for continued growth will eventually spur the next big leap in the world of computing, and no doubt we’ll be talking about planned obsolescence for whatever gadget Apple and the rest of the tech industry move to next.